While the sedan is quite a bit longer, both models have the same amount of backseat legroom, so it's really an issue of whether you like a trunk or a hatch. Whether as a sedan or wagon (hatchback), the 2009 Subaru Impreza has a distinct personality—bringing good performance and safety—that sets it apart from other small cars. TheCarConnection.com's editors have driven both body styles of the 2009 Subaru Impreza in order to give you an expert opinion. TheCarConnection.com has also researched available road tests on the Impreza to produce this conclusive review and get you the most useful shopping information. Last year Subaru revamped its four-model lineup of Impreza four-door sedans and five-door wagons. For 2009 Subaru adds two models to the Impreza lineup with the introduction of the new turbocharged 2.5GT sedan and wagon models. The new 2009 Subaru Impreza 2.5GT is pushed by a 2.5-liter turbocharged flat-four engine producing 224 horsepower and 226 pound-feet of torque. The engine is mated to a standard four-speed electronically controlled automatic transmission with Sportshift manual control, sending power to all four wheels via Subaru’s symmetrical all-wheel-drive system. The Subaru Impreza wagons form the foundation for the high-performance WRX, but the more vanilla-flavored Subaru sedan and hatchback are tuned for commuter duty, not high-speed hairpin handling. The driving experience in the 2009 Subaru Impreza feels very sophisticated and refined for a small car, but not that exciting. The Impreza has a relatively soft and absorbent ride, and its interior is now notably hushed from wind and road noise—which were overbearing on previous versions. Although the body leans quite a bit in hard corners, the suspension is very well designed and allows impressive grip and poise, so it's a great package for most buyers concerned with good, safe handling and day-to-day comfort. The 170-horsepower, 2.5-liter flat-four engine is torquey and responsive at low revs, making it especially well suited to the automatic transmission, though the five-speed manual also brings good performance. The only complaint is that it only has four gears and they're spaced rather far apart, which can lead to rough downshifts at times. Fuel economy is also a disappointment in the 2009 Subaru Impreza; it comes with ratings of only 20 mpg city, 27 mpg highway. Both sedans and wagons do well in crash tests, with top five stars for frontal impact and four- and five-star results in side impact from the federal government, plus top "good" results from the IIHS for both front and rear impact. Electronic stability control and incline start assist are included in the Outback Sport or with the Premium Package but not otherwise available on the 2.5i wagon or sedan. Anti-lock brakes are standard, along with front side airbags and side curtain bags. The Impreza wagon is offered in two different models: the 2.5i and the 2009 Subaru Outback Sport. A single 2.5i model of the 2009 Subaru Impreza sedan is available, and it includes what's now considered basic equipment on a car of this price, such as air conditioning, keyless entry, power windows and locks, and an MP3-compatible CD sound system. The 2009 Subaru Outback Sport brings a more rugged look and some enhanced ability, thanks to a raised suspension, larger wheels, and standard electronic stability control. The Outback Sport also gets special side molding, bumper underguards, heated side mirrors, fog lamps, a wiper deicer, heated seats, and the 10-speaker audio system. The 2.5GT features amenities such as a power glass moonroof and fog lights on the outside and electroluminescent instrument panel gauges on the inside. Upgrades to the rest of the 2009 Impreza model lineup include the addition of Subaru’s Vehicle Dynamics Control (VDC) stability and traction control system and the Brake Assist safety feature as standard equipment. The 2009 Subaru Impreza wagon is by most accounts somewhat generic outside, but the interior look is likable. While reviewers are simply lukewarm about the 2009 Subaru Impreza sedan's styling, the hatchback (or wagon, depending on who you ask) is a subject of greater controversy. Automobile Magazine feels the wagon model is "a little more attractive than the sedan, but looks exactly like another car that sells incredibly well—the Mazda." In fact, although it is considered a station wagon, it does not particularly look like one; Cars and Driver reports this five-door 2009 Subaru "looks more like a traditional hatchback this time around, so fans of the old wagon might be disappointed." According to Automotive.com, the Subaru 2009 "cabin is more subdued than before, with no embroidered logos to remind occupants what they're sitting in, [and] trim is a metal-ized silver plastic." Cars.com notes this Subaru 2009 interior is "far more inviting than before, but it retains the car's businesslike austerity." Automobile Magazine observes, “We're not asking for a SoHo lounge, but Subaru could stand to make the car's interior slightly more inviting.” Cars.com considers this Subaru 2009 interior "far more inviting than before, but it retains the car's businesslike austerity." The 2009 Subaru Impreza sedan and wagon are entertaining to drive, but non-GT models won't move very quickly and fuel economy is disappointing. The base 2009 Subaru Impreza is hampered by its bulk, unfortunately; this Subaru 2009 model's "curb weights are hefty for a compact, and performance is tepid as a consequence," according to Car and Driver. MyRide.com says that although the "combination of a 170-horsepower 2.5-liter flat-four engine, a five-speed manual transmission and full-time all-wheel drive sounds like a recipe for fun," it is, in fact, a "high-carb mixture thanks to the Impreza's 3,064-lb. 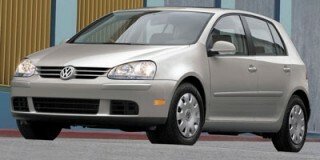 curb weight...[resulting in] pokey acceleration, even though the powertrain gives it all it's got." Automobile reports that the Subaru 2009 2.5-liter four-cylinder engine found on base-model Imprezas "survives largely unchanged from the previous generation Impreza, albeit with a slight bump in horsepower and torque...power is up to 170 hp at 6000 rpm, torque climbs to 170 lb-ft, and the torque peak has fallen, from 4400 rpm to 4000 rpm," which is "enough to move the car along just fine in most driving scenarios." "When it comes to road manners, the littlest Subie is pretty sedate...the 2.5i gets the softest suspension of the Impreza lot, which is to say that it's comfortable over bumps but not terribly sporty,” reports Automobile Magazine. 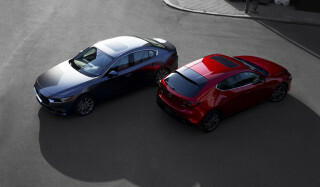 ConsumerGuide comments that "steering feel is responsive, if not as razor sharp as would be expected in a sporty car." 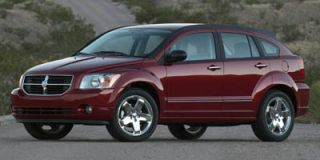 Materials aren't impressive and the 2009 Subaru comes up short on backseat room, but overall refinement is impressive. Reviewers are mostly positive—though not beaming—about the interior of the Subaru Impreza. However, several mention the cut-rate feel of some of the cabin materials. "With my seat all the way back, a passenger could still fit behind me, as long as they were not also over six feet tall. The steering wheel felt good in my hands and everything is within easy reach of the driver,” reports NADAGuides. Automobile Magazine describes this Subaru 2009 interior as "well laid out with everything easy to read and reach," and Automotive.com perceives it as "less confining, perhaps more airy, than the previous generation." 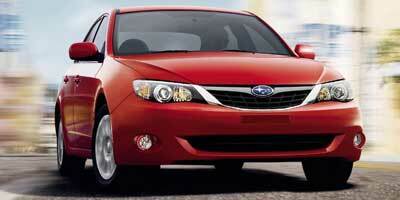 The 2009 Subaru Impreza employs many safety features and may be one of the safest compact cars on the road. 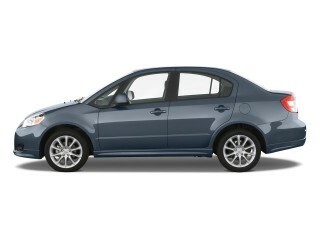 The Insurance Institute for Highway Safety (IIHS) rates the 2009 Impreza “good” in front crash-test protection. The National Highway Traffic Safety Administration (NHTSA) gives the Impreza a perfect five-star rating from front and driver side impact protection and four stars in all other categories. Impreza hatchbacks score top five stars for frontal impact and four- and five-star results in side impact from NHTSA, plus top "good" results from the IIHS for both front and rear impact. 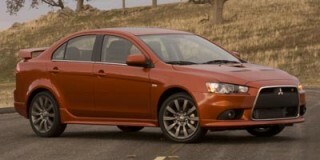 According to Automotive.com, "ABS on these cars is among the most sophisticated available." Cars.com adds, "standard side-impact torso airbags for the front occupants, plus curtain airbags that cover the side windows completely, are standard and contribute to the model's good scores." Stability control is available with a Premium package. Electronic stability control and incline start assist are included in the Outback Sport or with the Premium Package but not otherwise available on the 2.5i wagon. 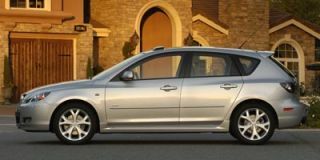 Cars.com says that all 2009 Subaru Imprezas "include an impressive array of safety features"; for example, "six airbags and active head restraints are standard." MyRide.com assures potential buyers that "seeing out of the Impreza's big, airy greenhouse is easy enough, with no particularly bad blind spots to speak of...mirrors are well sized for the car both inside and out, and the view to the side and front is also very good." 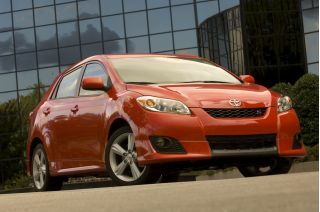 TheCarConnection.com gives the 2009 Subaru Impreza good marks for features, both standard and optional, but the 2.5GT is pricey. Reviews read by TheCarConnection.com unanimously decry the price versus the features of the new 2.5GT model. Edmunds reports the Impreza sedan comes with “16-inch steel wheels, air-conditioning, a CD/MP3 player, cruise control, tilt steering and full power accessories." ForbesAutos states it "comes reasonably well equipped with side-impact airbags and a CD audio system included as standard features." The Impreza wagon is offered in two different models: the 2.5i and the 2009 Subaru Outback Sport. The 2.5i starts quite basic and includes air conditioning, keyless entry, power windows and locks, and an MP3-compatible CD sound system. The 2009 Subaru Outback Sport brings a more rugged look and some enhanced ability, thanks to a raised suspension, larger wheels, and standard electronic stability control. The Outback Sport also gets special side molding, bumper underguards, heated side mirrors, fog lamps, a wiper deicer, heated seats, and the 10-speaker audio system. According to Forbes Autos, the 2009 Subaru "premium package bundles alloy wheels, vehicle stability control, rear disc brakes, fog lights and leather-wrapped steering wheel and shifter, while the satellite radio and nav package throws a better audio system and navigation on top of that." Automotive.com reports that Subaru 2009 stand-alone options "include body molding colors various deck-lid spoilers, a battery warmer, a subwoofer and power amp for the base audio system, and XM or Sirius satellite radio hardware."